Energy has undoubtedly become a significant part of the development agenda, a reality reflected in the many claims made by members of the development community about the importance of energy access for improving the lives of the poor, especially women and girls. This discourse includes an implicit assumption that, because of the burdens of energy poverty, energy access itself automatically benefits women and girls. 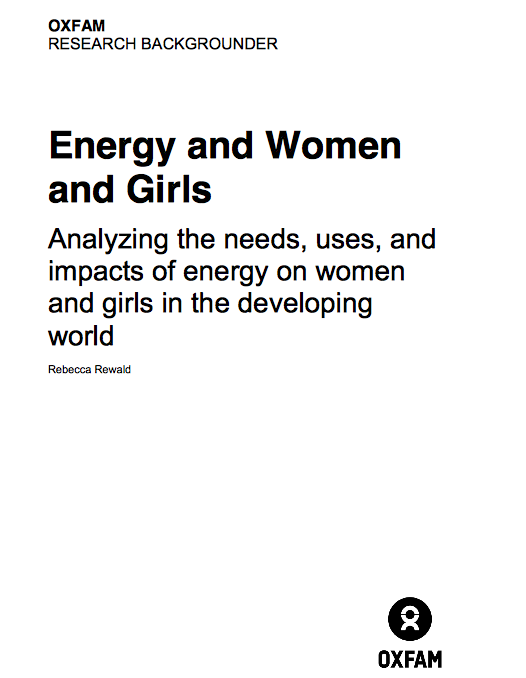 This paper tests that assumption and finds that ensuring that energy access provides benefits to women requires much more than simply providing energy.